October 2016 - World of Warcraft Legion | Mythic guides, Class reviews, various tips. 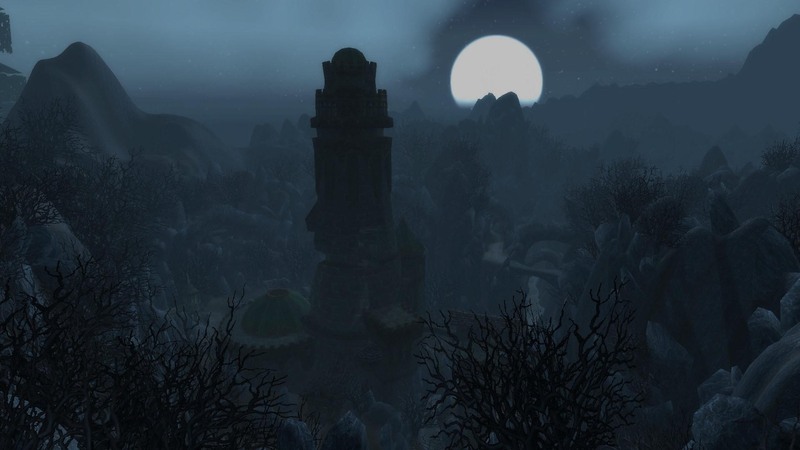 The history of this dark tower shrouded in mystery, but from the very beginning its destiny was closely linked to the Guardians of Tirisfal – once a major bastion of Azeroth in the fight against the Legion. Now it is known primarily as a haven of Medivh, whose tragic betrayal ended Keepers unbroken chain. Not surprisingly, that the Legion takes a special interest in Karazhan. Spare no effort to capture the tower, demons intend to open a new front in the war with the inhabitants of Azeroth. Update «Back to Karazhan” for the Legion – is a new adventure for 5 players in many ways similar to the raid instance for 10 players from The Burning Crusade. Once Karazhan was the home of Medivh, the last Guardian of Tirisfal, so every stone, every step is filled with mysterious power. This force become a beacon that atracting demons of the Burning Legion, and Moroes, Medivh’s servant, opened its doors in the hope that his master would soon return. In that tower heroes will find many new challenges and bosses, as well as new stories can be found. Also you can experience the infamous Opera Hall. But before you enter into Karazhan, you must perform a task from Khadgar and thwart the plans of Gul’dan. Warlock sends secret orders to the higher demons, that lurking in the dark depths of the Shattered Isles, and to intercept these messages, Khadgar need your help. But this is only the beginning of an adventure. You have to fight with the king-god Skovald in the Halls of Valor and with three demons of Gul’dan. By bringing together all the pieces of the puzzle, Khadgar learns the terrible truth, and then adventurers have to go to the Karazhan. We often discuss among themselves whether or not to upgrade some or other play materials, and in which places from the previous addons players would be most interesting to come back. Karazhan constantly pop up in such conversations, but in the past we could not tie him to the Legion story. And finally I found a solution: the Guardian tower have rich history, so it seemed natural that it will be interested to the Legion. So we will be able to create a dungeon for 5 players in the scale. The lower tier of the tower remained mostly the same as they were in 2007 – but the mechanics of the creatures and battles with bosses was completely redesigned. In that magician tower laws of gravity do not always work. Who knows what secrets can store such a place? That dungeon have 8 Bosses, some of them are new, but some are good old bosses that was in previous Karazhan. This Warden of Titans arrived in Karazhan to clean the tower from vice and corruption. Notorious parties of Medivh seriously angered her. Maiden start a holy war for the glory of virtue. She does not step back from her goal – to eradicate immorality in every way. Amidst the carnage of rival gangs battling for the turf of Westfall, two lovers from very different worlds fight for happiness. It is said that love is blind… but does it also need a translator? Cursed to take the form of a beastly monster, Brute must find true love before he loses his life to the dark magic that transformed him. Will he learn proper table manners in time to win the heart of the fair Bella? Once Attumen extracted meat for feasts of his master, hunting wild animals. Now he is interested in a completely different production. He is always on the alert and ready to unleash the full power of his lethal skills to outsiders – especially those who are trying to steal his famous stallion, Midnight. 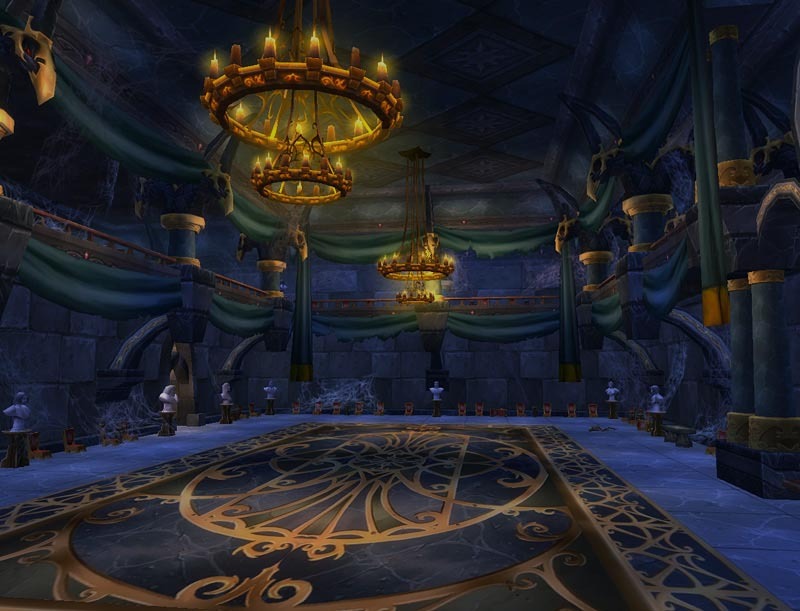 Moroes, steward of Karazhan, carefully waited to his master’s guests, gathered for lunch in the luxurious banquet hall. The order in the tower – the meaning of his eternal life. With rude and uninvited guests, he cracks down brutally but effectively. The curator guards tower from intruders and destroy uninvited guests that try to unveil the secrets of Karazhan. This golem-guard, created by Medivh eventually became worthless. Now, it is prone to chaotic behavior and power overloads. The power of the last guardian was so great that you can still feel the echoes of his magic. Some of them appear as a vision of the past events. Others take a more sinister form, recalling the once enslaved Guardian will. an experienced adventurer could hardly be scared by some mana wyrm. These small primitive creatures floating in the air and absorb the residual Arcane energy. But in Karazhan cases often things go in a different way: at first glance, a harmless creature can be a serious threat. Kil’jaeden ordered to Viz’aduum All-Seeing to grab Karazhan and turn passing through a tower of power energy at the service of demon legion. If he could connect them with countless worlds belonging to the Legion, the dark titan army take Azeroth and turn it into a smoldering ruin.